Color Portals lets users create portals in game with little effort and no commands to type! Using wool, a sign, a pressure plate, and a button, players can create their own portals! No commands necessary to set up portals. Portals link automatically. No running back and forth setting locations. MultiVerse/MultiWorld compatible. Teleport between worlds with ease. Download now and try it out for yourself! /portal info or /cp info - Use while standing in or looking at a portal to get more information on the portal and where it warps to. /portal list or /cp list - Displays how many portals are registered on the server. Color Portals is by far the easiest to use portal plugin to date and is also the most fun. People on your server will not be able to get enough! It is being maintained on Spigot here. Will this get an update on 1.9? Thanks! I have also noticed the same issue reported by @diamondiger. if the ground under the portal is solid, I tend to drop only 1 block, and can jump up and it's not a problem. However, if there's nothing under the portal (as with a number of the portals I use), then I will drop and fall however far it is until I hit a solid surface (or fall into the void). I've taken to sticking a block under the ones I can. It doesn't always work, but it does most of the time. Thanks for the response. Just wasn't sure if that was a bug or just me. It doesn't seem to let me allocate more than 1G which I'm sure is enough but it still persists. Its not a big server or anything so I'm hosting it on my computer which has 8G RAM. the server isn't slow at all, just the chunks don't load immediately so you sink down a little bit. maybe just a consideration to put a teleport-delay-time or something in the config that would default to 0 but could be changed for less capable servers like mine. This is usually caused by lack of RAM allocated to your server. The plugin implements standard Bukkit teleportation practices. 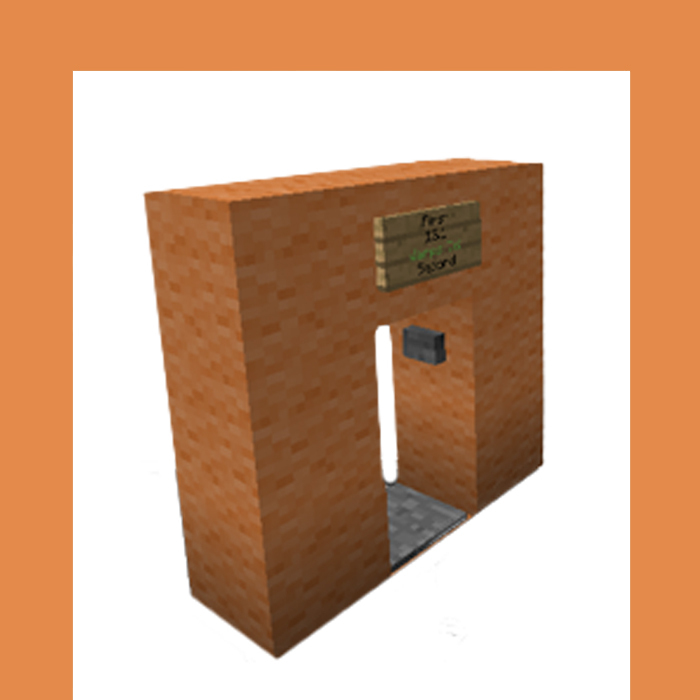 @SnowGears Hey I got this plugin for a small (mostly vanilla) survival server and we love this plugin, the only problem is that sometimes we teleport and get barried under the portal, then suffocate, then die, and loose all our xp. Is there some patch for this? I'd thing just make a very slight delay before you spawn so it can load the chunk before you start falling through it but i don't really know how to code or if that is possible. Sorry for the (very) late response. I like that idea! I will be sure to include that in the near future. I don't know why you are so offended. Write your own damn plugin if you hate it that much. Snow gears your KIDDING RIGHT? YOU CANT HAVE A BUTTON YOU NEED TO CLICK FOR A PUBLIC SERVER! THERE IS NO REASON A SERVER DEVELOPER WOULD USE THIS! Another suggestion to add to the next update would be to allow the button to be on the outsides of the "button block". It's really nice being able to use it to easily transport mobs, but sometimes the mobs are too big to get around in order to press the button. This frustration happens to me fairly often; especially with villagers, cows, horses, and slimes. Being able to put the button on the outside of the block would make this much easier. Highly anticipating the next update my friend! Cheers! Hm thats odd. I will have to look into that. Also I will make that toggle for the next update! Thanks for the suggestion! Hope things are going well for you! Looking forward to an update that will allow me to toggle off the requirement to have the pressure plate and button to set/keep a portal (one-way portals are very handy, but without the toggle ability, they aren't a possibility). "You can not put another sign on top of this portal"
Breaking the first sign should've destroyed the portal, shouldn't it? Hey we have been using this plugin for about 1 month on our server, and while we and our players love it, the portals often break for no apparent reason. This is becoming an increasing problem for us and there isn't even any errors to show for the bug. The portals are set up perfectly, linked and all, but they just wont teleport the player. This happens randomly, where some portals works perfectly and others aren't. Any idea of whats causing this or how to fix it? You will need to delete the ColorPortals folder and install version 1.6. This also requires that you rebuild all of your portals. But after that, you should have no more issues and future versions will not require you to rebuild your portals ever again. I see. I went to have another look at it and the .yml file is completely blank. If I delete the ColorPortals folder, and reinstall the plugin, do you think that will sort it all out, or will we have to revisit all the gate locations we can find and rebuild them? If the portals.yml file is gibberish symbols then I have found your problem. You did not delete your ColorPortals folder before upgrading to ColorPortals v1.6. I stated this is the changelog for 1.6 in bold. Thanks for the suggestion. I'll see if I can update the portal.yml file, tho so far I haven't had much luck even looking at that file. Every time I try it's a bunch of gibberish symbols; nothing very readable. Any thoughts on that? As for a plugin that alters signs in any way, no. I don't have many plugins on the server, and the only one that has anything to do with signs is Color Portals. I'll double check, but it's a short list.